today i built up the walls in the office. today we started working on the office area. 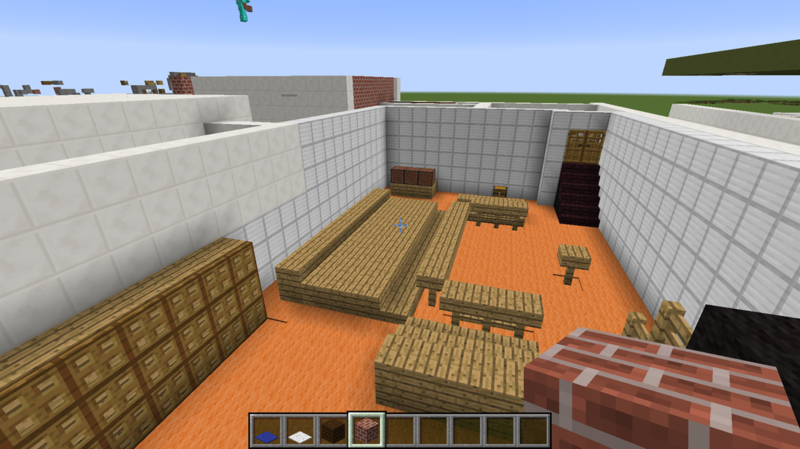 My biggest acclomplishments in minecraft is getting most details right on the chute project. The biggest challenge is getting the right material that we need for all the fixture. 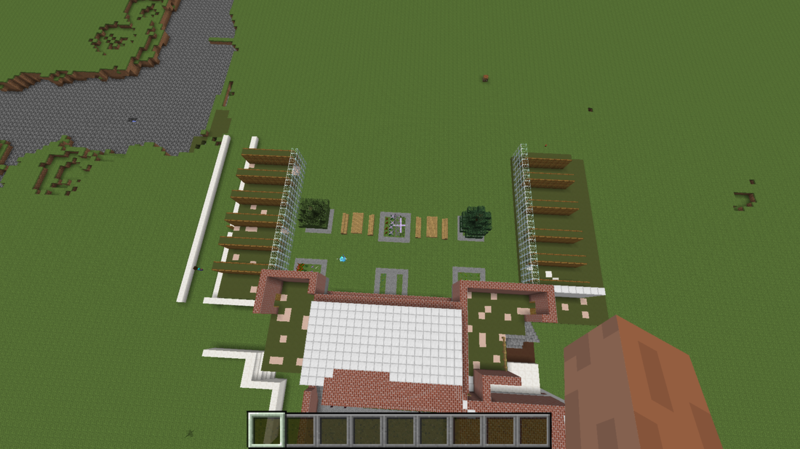 I succeded in finishing the garden with nick. Today i will work with brian on the chute garden. My goal to help my buds make all of the chute. Today me and nick rebuilt the grass around the school. 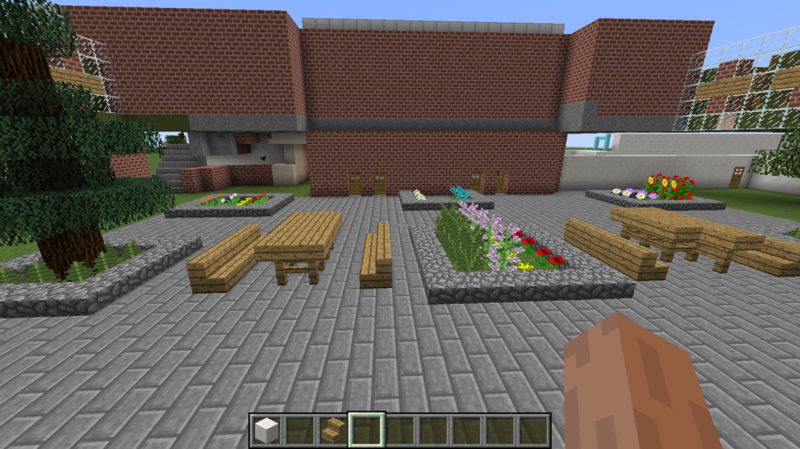 We finished both the lockers and we made some of the courtyard.